Something bigger than the space can contain brings together artists from diverse backgrounds in which shifting notions of house are played out from different perspectives: personal, political, economical and relational. 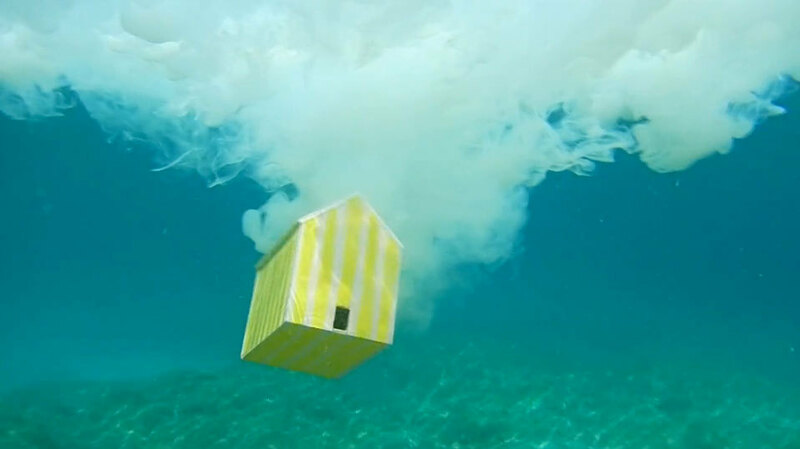 In Kim Collmer’s video, a playful miniature set house is submerged underwater and slowly descends into another realm within which text transmissions between two entities appear on the screen. Between the house’s descent and the textual inter-ference is a meditation on connection, connectivity and relation.